The candy corn shooter is fun, popular, and low in alcohol, meaning you can knock back more than one at your Halloween party. All around, it's a great shot for any party. The key to the "candy corn" effect is layering ingredients according to their specific gravity so you get the same beautiful and distinct striping like the cult-favorite Halloween candy. Pour the Galliano into a shot glass. 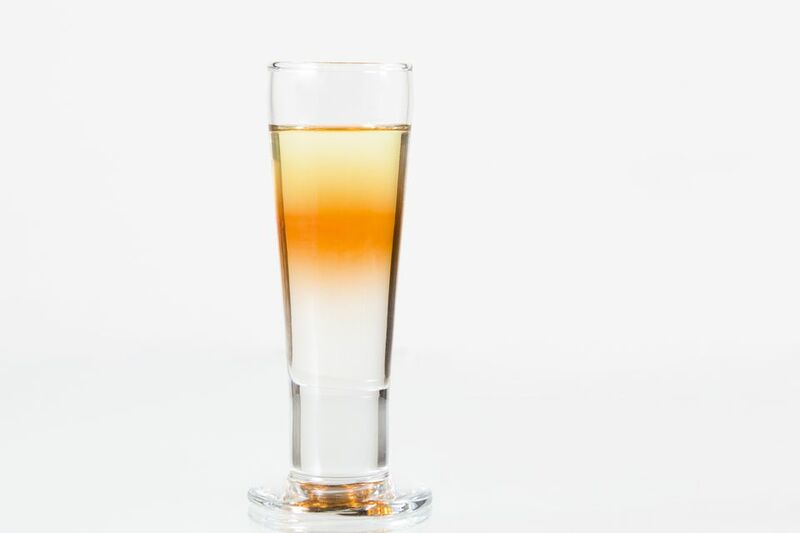 Float the orange curacao on top by pouring it over the back of a bar spoon. Float the cream on top.